I wrote an open letter to the CEO’s of Vodacom, MTN and Cell-C asking them to make Wikipedia free on cellphones. You can find the article on the Sowetan website HERE. I include the full letter below…sharing is caring so feel free to spread far and wide…hopefully the right people see it and realize the power they have to effortlessly improve the education of millions of children. You can also like this FB page. “THIS Youth Day, three companies have the power to change the lives of 12 million South African children with the stroke of a pen. This may sound like the usual political rhetoric around Youth Day, but I assure you, this is probably the most tangible opportunity of 2013. 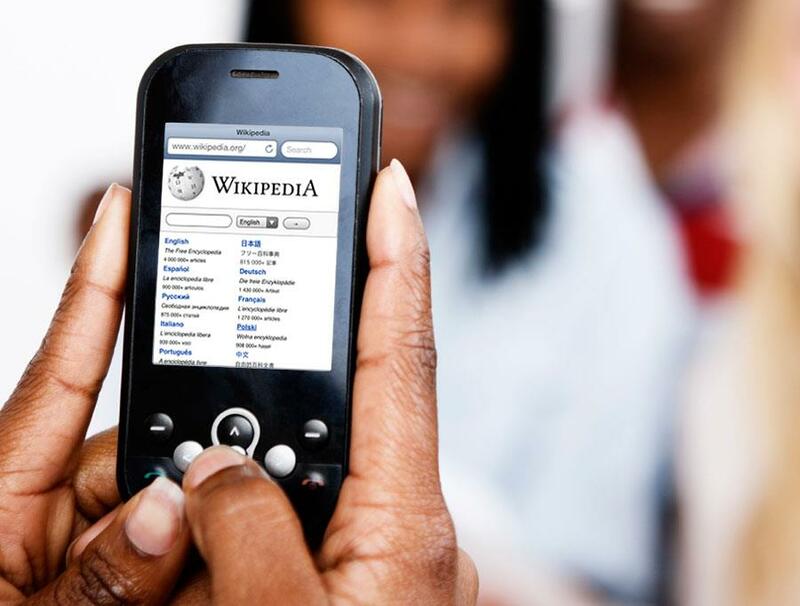 The idea is simple: provide mobile access to Wikipedia free of data charges. It isn’t complicated or glamorous, but it would put the world’s knowledge in the hands of millions of South African youths, especially those without libraries or computers. “What is chlorophyll?”; “Who was Seretse Khama?”; “Where are the Canary Islands?” – four million articles on absolutely everything, all accessible through a cellphone. So, if your name is Shameel Joosub (CEO of Vodacom), Sifiso Dabengwa (CEO of MTN), or Allan Knott-Craig (CEO of Cell-C) this could be one of the best (and most satisfying) decisions of your life. Listen to the Wikimedia Foundation or listen to the under-resourced Sinenjongo High School who have explicitly asked for free access to Wikipedia – if all else fails then listen to reason. The world is evolving in an increasingly digital way and encouraging cellphone use in education is just plain business sense. One need not remind you that these are your future customers and employees. There really isn’t a legitimate reason why not to. We already know it’s possible since British mobile operator Orange currently provides access to Wikipedia for free on its network in 20 countries across Africa and the Middle East, including Kenya, Uganda, Egypt and Tunisia. So why not in South Africa? I can’t imagine that the data revenues from South Africans accessing the (primarily text-based) Wikipedia Mobile are anything that would affect the bottom line, and anyway, these miniscule losses couldn’t hold a flame to the positive public relations and social capital from such an important policy. This kind of project is the very definition of corporate social investment. It was only last month that Vodacom announced a yearly net profit of R13-billion, up 23% from the previous year. This is great news for the company, employment and the economy. Making access to Wikipedia free is a drop in the ocean for these companies, but opens the world of knowledge to millions of South African children, who are themselves future customers and employees. Perhaps the case isn’t compelling enough. So let’s look at some cold hard facts. Less than 20% of South African schools have a library or a computer centre. Where are pupils meant to go if they don’t know something?Of 100 pupils that start grade 1, only 50 will make it to matric, 40 will pass and 12 will qualify for university. Only 13% of schools have any access to the internet. If one excludes Gauteng and the Western Cape that figure plummets to 5%.The majority of pupils in South Africa come from resource-poor homes with almost no access to information. On top of this, most pupils are learning in their second language – frequently coming across concepts and words they don’t understand, what are they meant to do?All of these statistics are in stark contrast to the ubiquitous presence of cellphones in the country, with cellphone penetration reaching 98% this year. In a 2010 research study, World Wide Worx estimated that 65% of urban cellphone users have the capacity to access the internet, with this figure likely to be even higher for the youth. This really is a hugely untapped resource.If one thinks of the enormous benefits of this easy-to-implement plan and the fact that other mobile phone companies have successfully implemented it in other African countries we need to ask; why can’t this be done in South Africa? Vodacom, MTN and Cell-C control 99% of the mobile phone business in South Africa and with a stroke of a pen they could help change the educational landscape of the country. This is an idea whose time has come.So Mr Joosub, Mr Dabengwa and Mr Knott-Craig, what are you waiting for? Pick up your pen and change the lives of 12 million South African children. This entry was posted in Uncategorized and tagged Newspaper article, Wikipedia. Bookmark the permalink.